When ever i have to cook meat or poultry i usually gravitate towards whole spices. Any thing that has to be cooked low and slow ,whole spices are perfect partner .It gives spices the time to flavor the gravy.I prefer bone in piece of meat specially drumstick.But can use any cut of chicken. 3. Heat oil and add bay leaf, cardamom,fennel,cinnamon,cloves. 5. Add chili , turmeric,coriander powder and cook for a minute. 7. Add chicken and mix well and cover and cook. 8. Mix light handedly now and then and let chicken cook low and slow. 9. When chicken is cooked well add garam masala,pepper powder and mix well. 10. Switch of flame and garnish with coriander leaves. Slurpp!!! 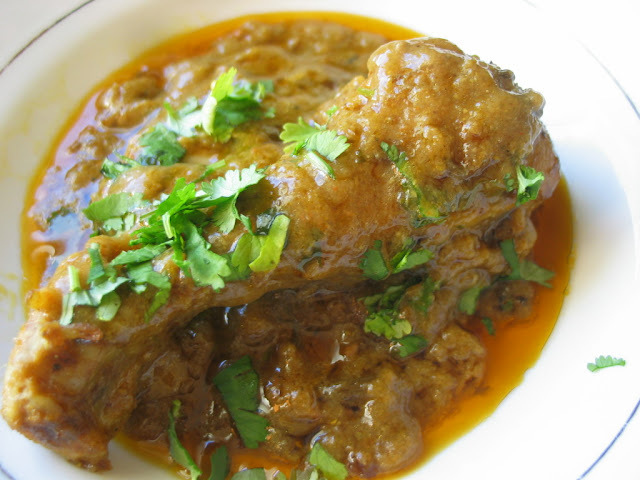 !picture itself makes me hungry..tempting chicken..
Wow Nisha, the chicken dish is so mouthwatering, just cant think of anything else... Super yummy creamy and juicy!!! 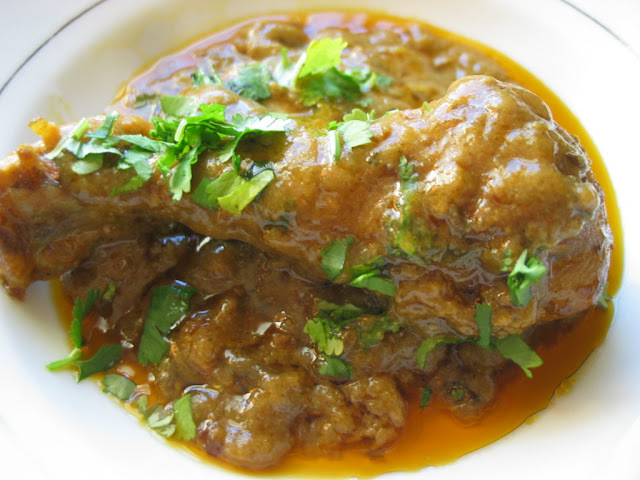 chicken gravy looks absolutely delicious, thick and well spiced!! !must be great with some rotis! !